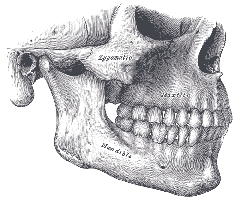 There is a delicate interplay between the structures in the head and face and the functioning of your jaw. Tooth pain is sometimes accompanied by related ear pain, headaches, sinus problems and jaw pain. Dentists, like your osteopath, understand this subtle relationship and how a problem with your teeth can cause pain in your jaw, face and other parts of your head. Osteopaths also treat patients with jaw/TMJ pain. Sometimes dental visits are a necessity and can be relatively painless but occasionally you may have to visit your osteopath as well. Some procedures dentist use can be quite invasive and upset the balance in these delicate cranial structures. Dentists can work alongside osteopaths to ensure these problems are minimised. Often the forces applied to the jaw and head by dentists as they work on your teeth (or simply the awkward neck position you have to hold whilst also feeling tense) can cause substantial strains that the body may not be able to clear on its own. So apart from feeling 'knocked about' immediately after your visit to the dentist, it may be that headaches, jaw pain or neck strain can appear in the days or weeks afterwards. This is especially apparent with wisdom tooth extraction and braces. Cranial osteopathy is very effective in helping to resolve these after-effects. It can be a good idea to get seen by your osteopath after dental work especially if you are experiencing discomfort. It may be a good idea to make an appointment soon after your dental visit in cases of tooth extraction, getting braces and their tightening, impacts to the teeth or any serious dental procedure.